The variety of books written on Salt Spring Island is amazing. This month I am sharing with you a sci-fi novel for readers (ages 12 and up) who enjoy fantastical tales of dragon like creatures and other planets. Every fifteen years on Mandeler’s planet there are great black winged creatures, the Raptors, which come in the night to kill and take people away to their distant lair. On his sixteenth birthday, Mandeler is gifted with a remarkable red stone, but it also coincides with the return of the Great Raptors. 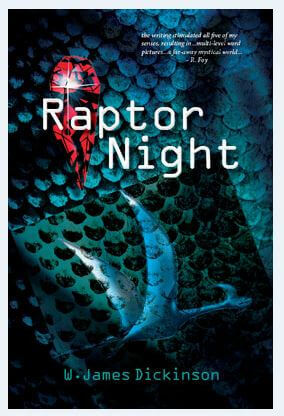 Driven by his tormented dreams of flying with the Raptors, he sets out on a quest to warn others of the advancing attacks. He is accompanied on his journey by one of the planet’s strange creatures, a denzel. As their path takes them into unknown dangers, the young Mandeler meets the street smart Gwenelle. Together they set out to find the mythical olive raptor to help them face the greatest danger of all. The novel is packed with adventure and excitement. Margriet Ruurs is a Salt Spring Island author of over 30 books. Her latest title Stepping Stones, A Refugee Family’s Journey, is a Canadian bestseller.